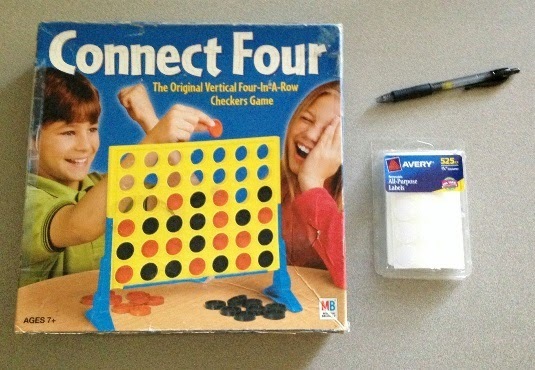 One of my favorite games growing up was Connect 4. To this day, I enjoy playing this game. And did you know that this game can be adapted into a cheap, awesome, and fun articulation activity? First, write your target words onto your labels. Then, stick the labels onto the game chips. 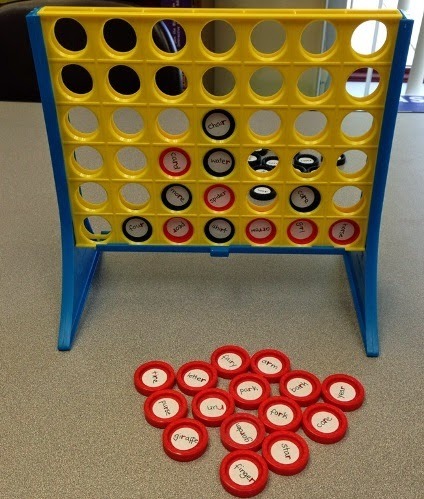 There should be 21 tokens of each red and black in a complete Connect 4 set, so if you stick a label on both sides, you can have 28 labels for a sound in each initial, medial, and final position. In my example, I highlighted the target sound by making it a different color. Put a label on each side of the play tokens. As soon as all of the labels are attached, you are ready to play! Tip#1: Make sure your label size doesn't exceed the 3/4" diameter, otherwise the chip's color will be covered up. Tip#2: If you want to make multiple sets for different sounds, but only have one game: basic checkers chips are the same size, too. Tip#3: You can re-create this activity for a checkers game. Tip#4: This works for other educational targets, like sight words.